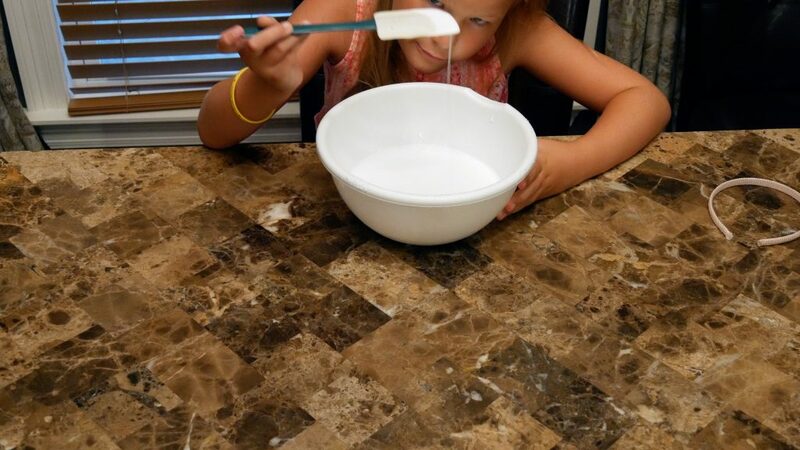 The popular project this year for kids is how to make jiggly slime. 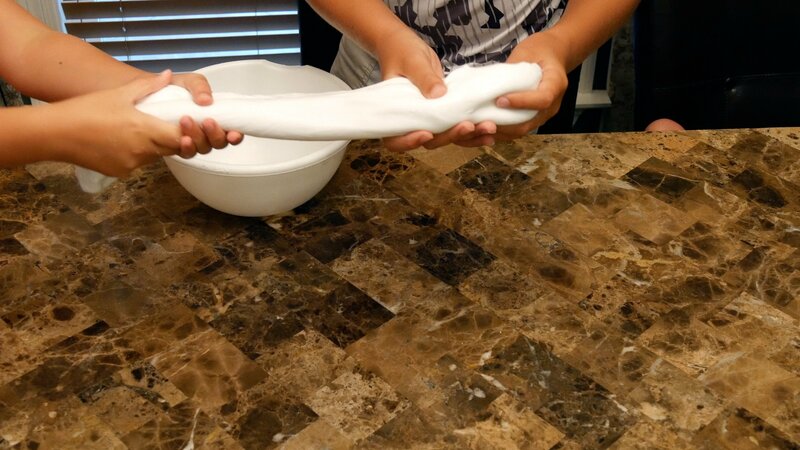 My kids and I decided to make super jiggly stretchy slime and it was an easy DIY recipe with simple ingredients. 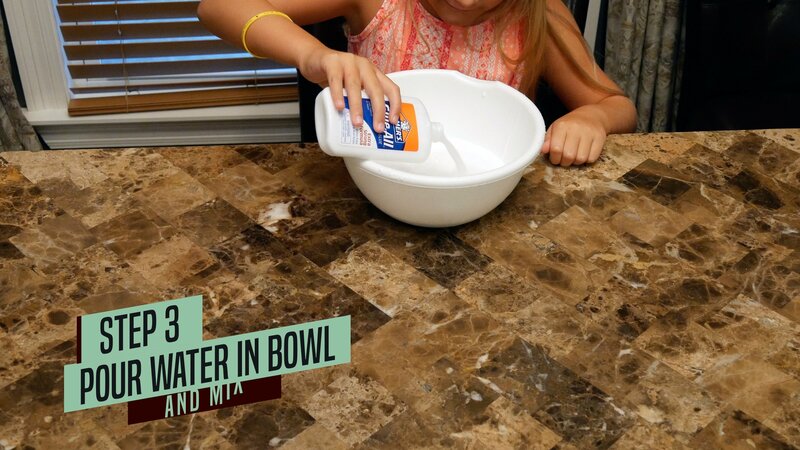 Pour 2 bottles of Elmer’s Glue in large bowl. 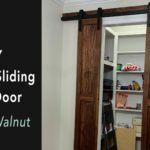 It is important to make sure to squeeze out as much glue as possible. Next, set the empty glue bottles to the side. 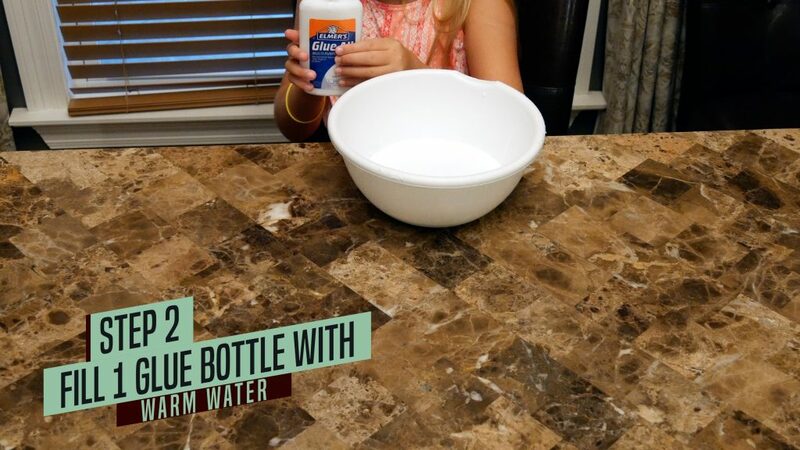 Use one of the empty glue bottles and fill the bottle with warm water. Next, pour the warm water into the large bowl. The water does not need to be hot. The same temperature as a warm bath is sufficient. 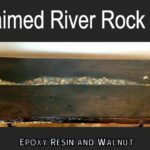 The glue to water ration is 2 parts glue to every 1 part water. 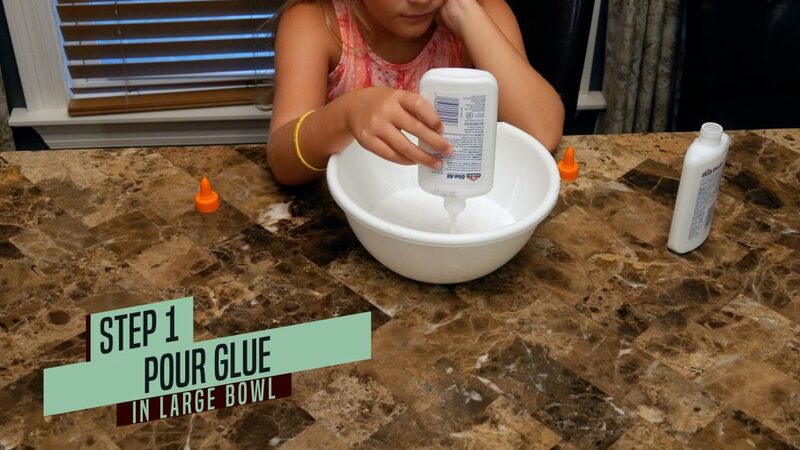 It is important to mix the warm water very well with the glue. I recommend mixing with a baking spatula for 5 minutes. The mixing caused Mattie to get very bored. Her attitude changed when I told her it was time for the next step. 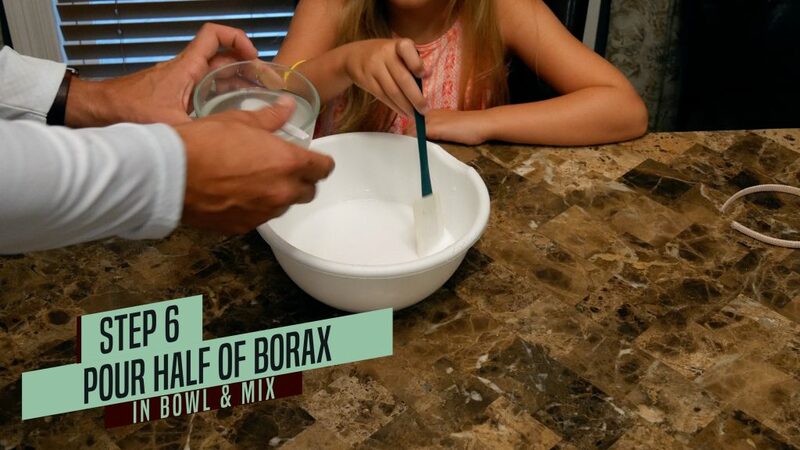 To prepare the Borax mixture, add 2 cups of warm water to a bowl. 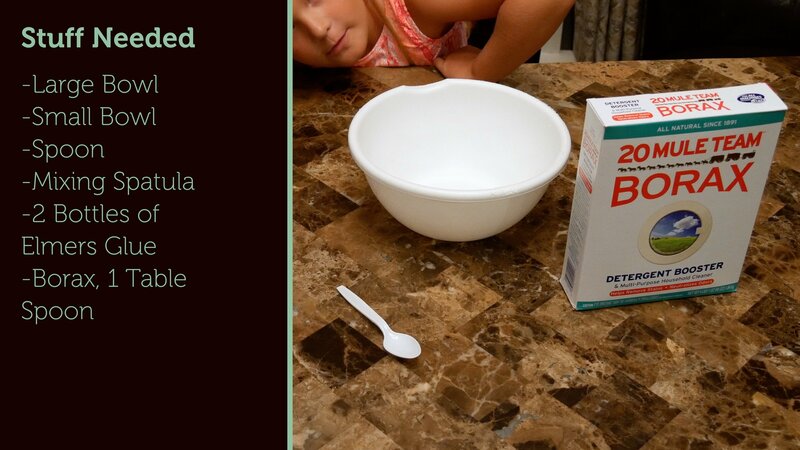 Next, add 1 tablespoon of borax to the warm water and mix well. 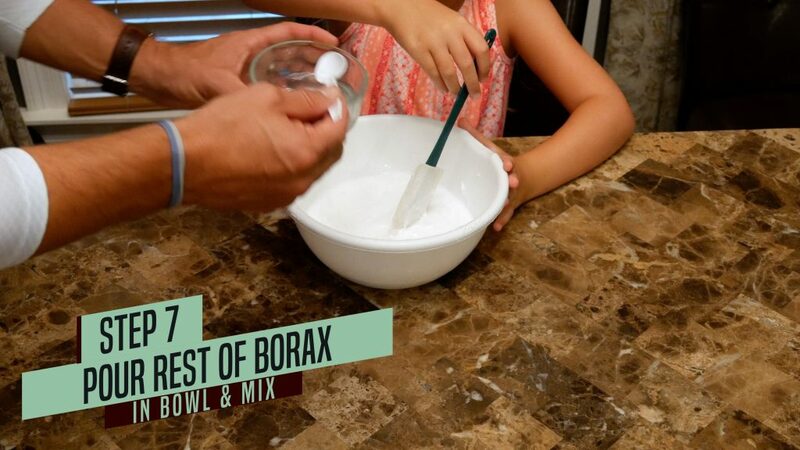 The borax needs to be completely dissolved in the bowl. It’s time to add the borax to the glue/water. 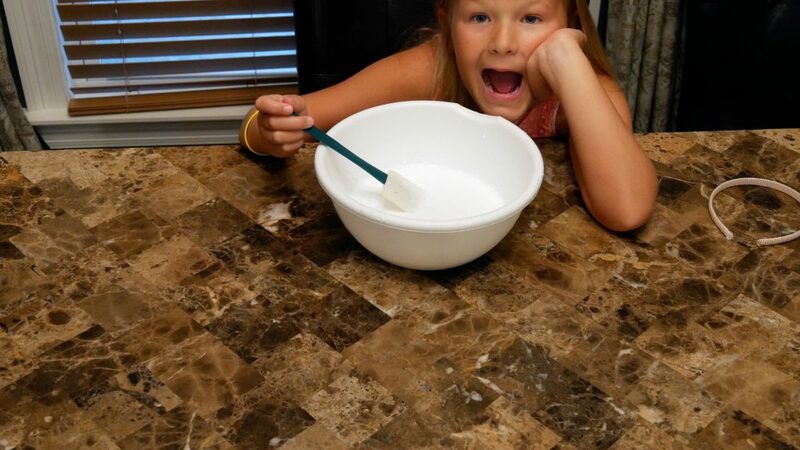 First, add half of the bowl of dissolved borax and mix it into the slime. The glue should immediately begin to clump. Mix this for a few minutes and the slime should be a bit wet and slippery. Next, add the other half of the borax and water to the slime. 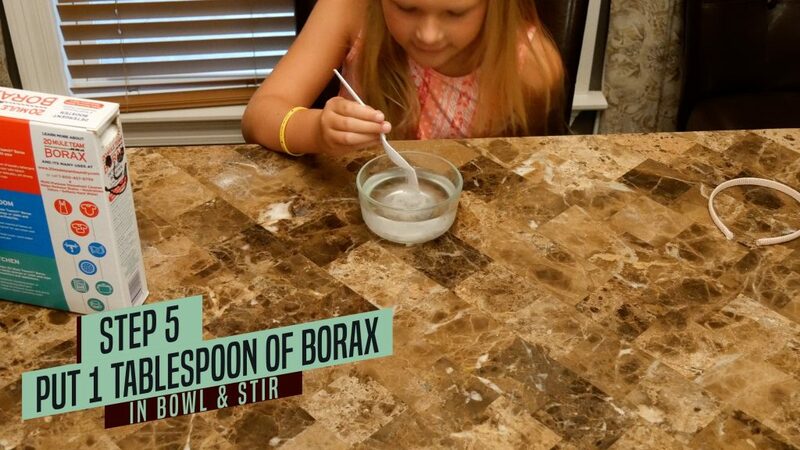 This should be all the borax you need to make slime. Eventually, The slime will get too thick to mix with the spatula. Use your hands to finish the mixing. 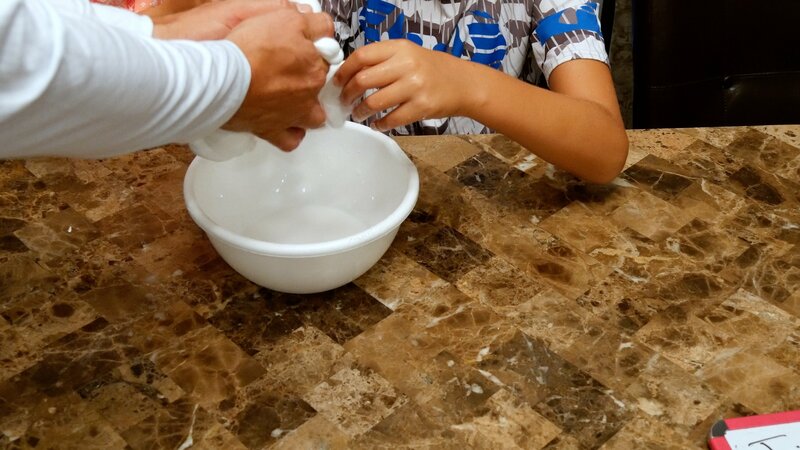 Once the slime is mixed well, take it out of the bowl and stretch, bend, and play with it for a few minutes. In order to make jiggly slime, there is one additional step. 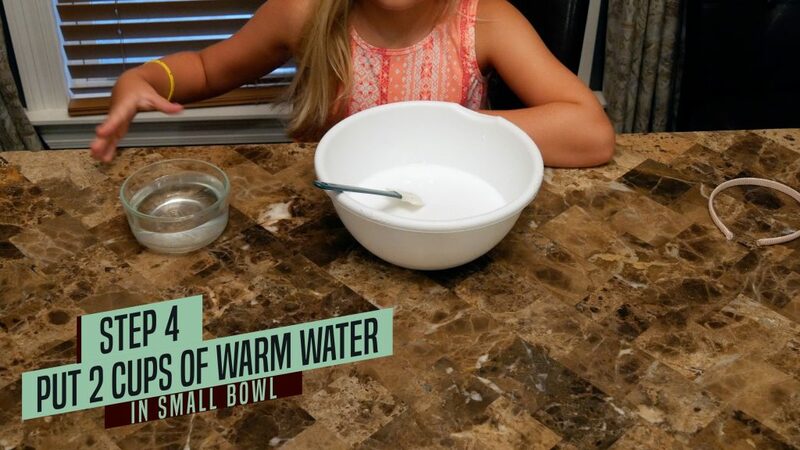 Simply place the slime back in the bowl and add 1 cup of hot water. 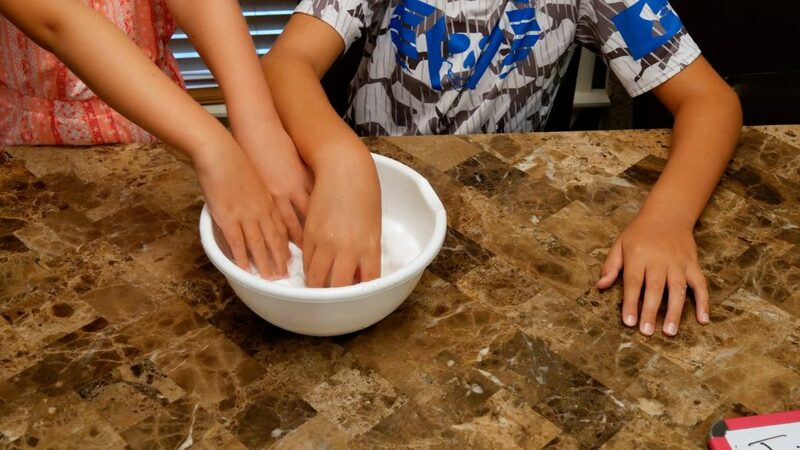 Use fingers to poke holes in the slime. 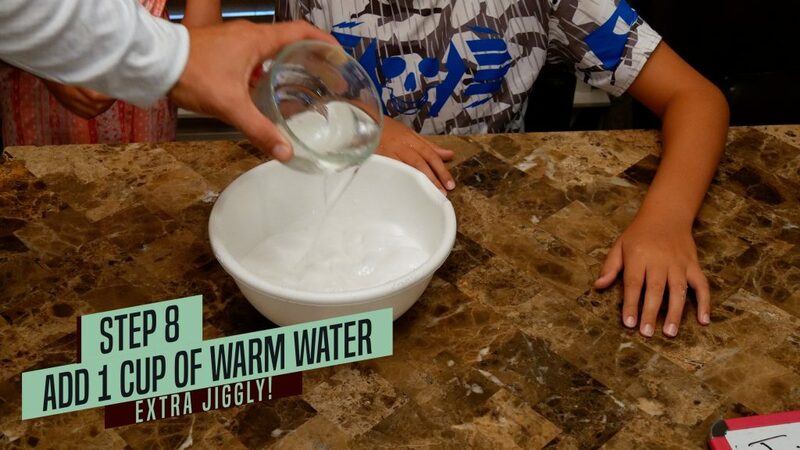 This is the best way to mix the warm water with the slime to make jiggly slime. 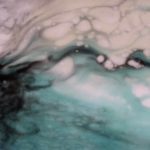 Once the slime absorbs as much of the warm water as it will absorb, lift it from the bowl and let the excess water drain. 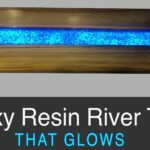 The draining should only take 10 or 15 seconds. The slime will be very jiggly and slimy. The slime dries out after a few days. To preserve slime, place it in a ziplock bag when not playing with it. We made slime about a month ago (prior to this video) and this slime is still in perfect condition. 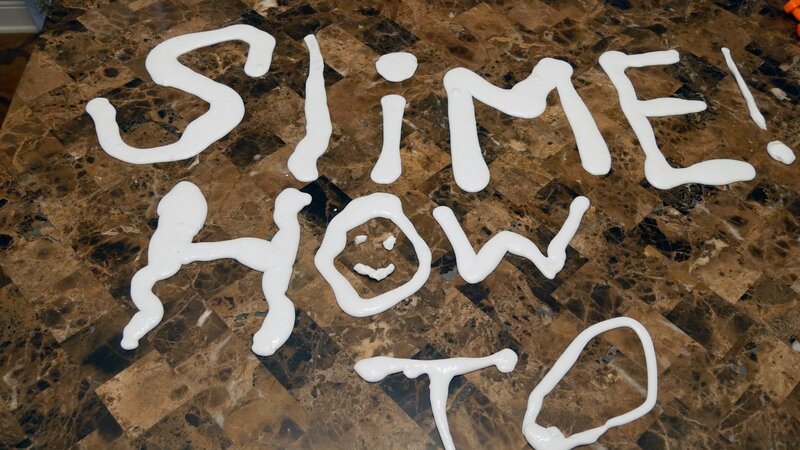 There are lots of ways to play with your slime. Mattie enjoyed making letters with her slime. Make sure to share your slime with your family and friends. Mattie did not want to share hers at first, but later decided to share her slime with Shane. 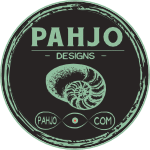 I hope this project provided you with some value because this is, and always will be, my ultimate goal. 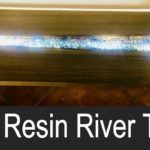 If you like kid projects check out my Minecraft sword project. 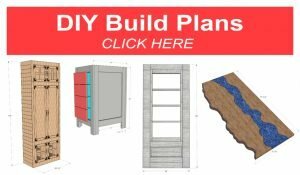 Also, visit my online store for awesome DIY plans and handmade items.